The Ap Index is heading down sharply. The rate of decline of the heliospheric current sheet suggests that the month of solar minimum may be still a year off. Like the Ap Index, the Interplanetary Magnetic Field recently headed down sharply. The Oulu neutron count is trending up steeply. If the month of solar minimum is still a year off, the neutron count can be expected to continue rising for another two years. Solar wind flow pressure is going to new lows. The Sun has gone very quiet and several indicators of activity are still heading down. Solar Cycle 23 may end up being 14 years long. Solar activity modelling that I have recently become aware of suggests that the Sun will have very low activity until 2016. Finally, the question we’ve all wanted to ask of the people in power: Where’s the evidence? Australian Senator Steve Fielding met with the Australian Minister of Climate Change, Senator Penny Wong, on 15 June 2009. Senator Fielding was seeking evidence that human emissions of carbon dioxide were the main cause of global warming; Senator Wong presumably wanted Senator Fielding’s vote for the upcoming Emission Trading Scheme legislation. I was at that meeting, one of four independent scientists invited by Senator Fielding. Many people have asked me what happened, so I am replying to everyone at once like this. These are my impressions of the meeting, with special attention to the way the meeting was conducted and to the arguments used by the alarmists. This account is not primarily a science discussion; nor is it a record of who said what. I took some notes during the meeting, but otherwise it is written from memory over the next three days. Meetings between official alarmist and skeptical scientists are so rare they are newsworthy in their own right (see, there was no debate). The aim here is to inform the public about what sort of things happen at an event like this. While it is not the aim of this account to persuade anyone of a point of view on the causes of global warming, obviously it will be told from my skeptical viewpoint. Senator Fielding in his office before the meeting. It is skeptics calling for a debate. 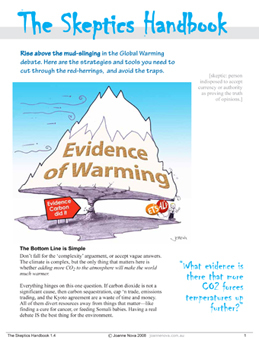 Alarmists avoid debate (especially Al Gore and Stephen Schneider). At the Bali 2007 Conference we challenged Greenpeace to debate but they didn’t even reply, and in 2008 Greenpeace announced an official policy of not debating the causes or merits of climate change. If Greenpeace is so right and moral, what are they afraid of? When Senator Fielding called last week asking me to come to Canberra to attend this meeting, I figured it was the best offer I was ever likely to get, and accepted. By the way, Senator Fielding held a five-minute press conference just before the meeting. The camera was trained on the Senator, but you should have seen the looks of contempt and certainty on some (but not all) of the reporters who were asking questions. It was clear what the views of those reporters were. If they are not professional enough to hide their personal views on the job, how accurate are their reports? 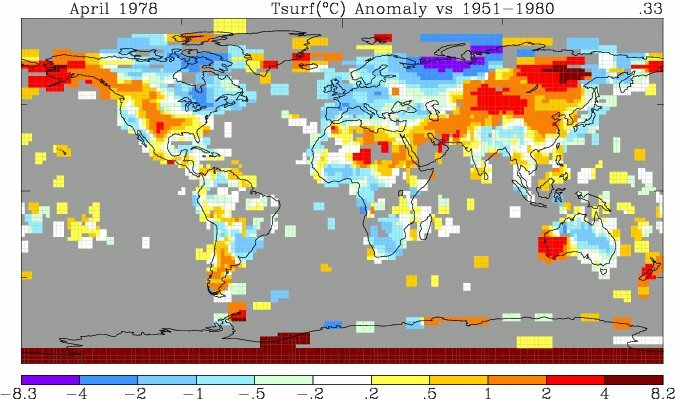 We have noted in the last year that NOAA has often become the warmest of the 5 major data sets in their monthly global anomalies. They were second place until they introduced a new ocean data set to be discussed later. 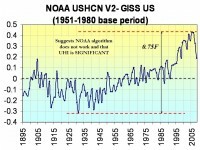 NOAA and the other ground based data centers would have more credibility if one of the changes resulting in a reduction of the warming trend and not an exaggeration which has been the case each time. NOAA and the other station base data centers suffer from major station dropout (nearly 3/4ths of the stations) many of them rural, there has been a tenfold increase in missing months in remaining stations, no adjustment for urbanization even as the population grew from 1.5 billion to 6.7 billion since 1900 and documented bad station siting in the United States and almost certainly elsewhere. Also 70% of the earth is ocean and the methods for measurement there over the years have changed from ship buckets to ship intake to satellite surface sensing. Each measures a different level and produces different results. Transitioning was gradual making estimation more challenging. NOAA’s allowing over 2/3rds of the world’s stations to dropout in 1990. You can see the coverage difference between the stations on this GISS analysis of the NOAA gathered stations from 1978 versus that in 2008. 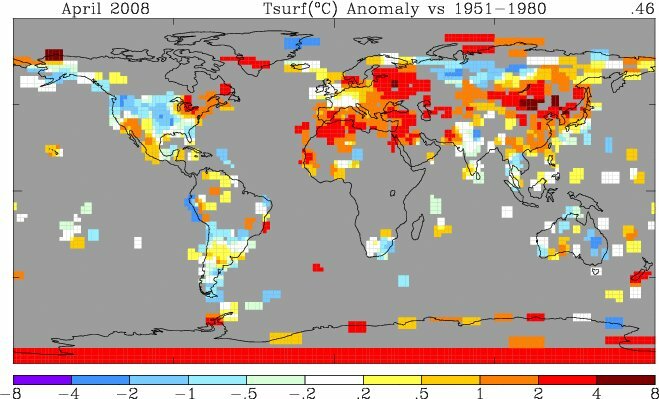 Notice the big gaps in Canada (where May was very cold), South America, Africa, western Asia, Greenland and Australia. Since many of these areas are more rural, this dropout led to more urban bias and thus warming. 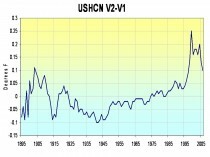 In the United States, NOAA has removed the US Urban Heat Island (UHI) adjustment and performs no UHI adjustment on global data. 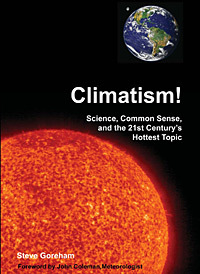 This is despite the facts that NCDC’s own Director Tom Karl in Kark et al (1988 J Climate) in Urbanization: its detection and effect in the United States climate record, showed the importance of urban adjustment and the Hadley Centre’s Phil Jones (2008) in Jones et al. ”Urbanization effects in large-scale temperature records, with an emphasis on China”, showed UHI’s contamination of data in China. There are many other peer review papers supporting the need for UHI adjustment even for smaller towns to determine climate trends. The removal of the UHI adjustment resulted in an enhanced warming trend as you would expect but an oddball cooling in the 1930s. 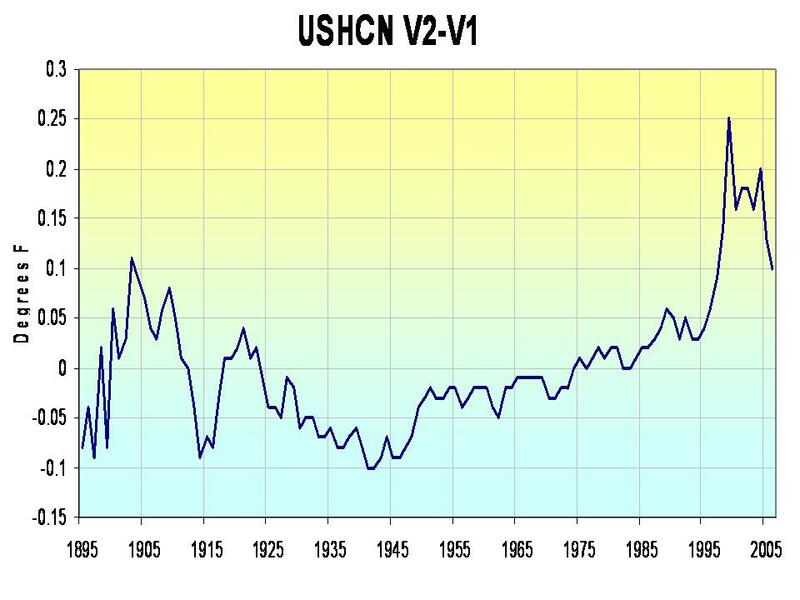 Removal of the UHI for the US resulted in a warming relative to GISS (which still does a UHI adjustment that seems to work for the US) with UHI in the United States of an amazing 0.75F since 1940. Anthony Watts has clearly shown increasingly bad siting can lead to warm bias here. “During the past few years a team of more than 650 volunteers visually inspected and photographically documented more than 860 of these temperature stations. We were shocked by what we found. We found stations located next to the exhaust fans of air conditioning units, surrounded by asphalt parking lots and roads, on blistering-hot rooftops, and near sidewalks and buildings that absorb and radiate heat. We found 68 stations located at wastewater treatment plants, where the process of waste digestion causes temperatures to be higher than in surrounding areas. In fact, we found that 89 percent of the stations – nearly 9 of every 10- fail to meet the National Weather Service�s own siting requirements that stations must be 30 meters (about 100 feet) or more away from an artificial heating or radiating/reflecting heat source. In other words, 9 of every 10 stations are likely reporting higher or rising temperatures because they are badly sited. The conclusion is inescapable: The U.S. temperature record is unreliable. The errors in the record exceed by a wide margin the purported rise in temperature of 0.7C (about 1.2F) during the twentieth century. My report is available in full as this PDF document here. Now having gotten all the warmth possible out of the land temperatures, they turn to the oceans, so promising as they cover 70% of the earth’s surface. 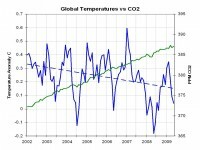 It appears they have found more warming there be reanalysis of past data. Thanks to Bob Tisdale, we have a better idea why that is the case with his story �Recent Differences Between GISS and NCDC SST Anomaly Data And A Look At The Multiple NCDC SST Datasets� covered in the recent WUWT post Something hinky this way comes. 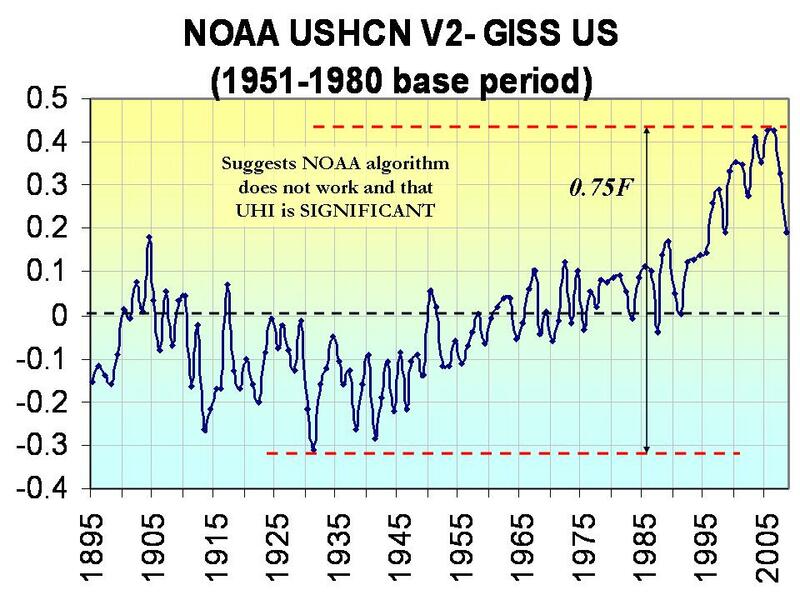 NOAA has a revised warmer sea surface data set now implemented that is significantly warmer than the prior and the current version used by GISS. Satellite are widely believed to be the most reliable source of reliable trend information if you can calibrate the differences as one bird gets phased out and a new one goes online. UAH and RSS have gotten very good at this in a very cooperative way in recent years. 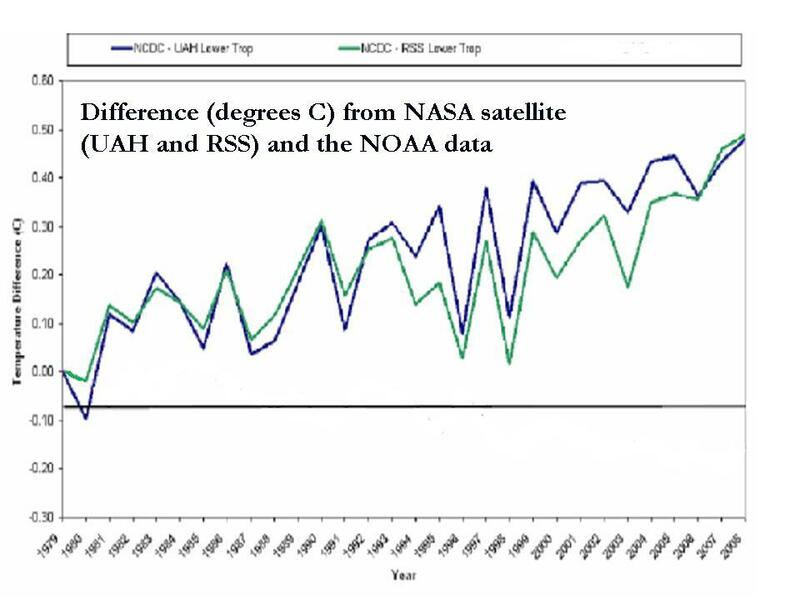 When you compare the satellite trends of both UAH and RSS with NOAA, you see an increasing warm bias in the NOAA data which explains why months with major cold in the news get ranked so high by NOAA and not by the satellite sources. The difference is approaching 0.5C (almost 1F). The satellite data is regarded even by NOAA administration to be the most reliable but they don�t use it in releases as it is only available for 30 years. It has shown a cooling since 2002. Roger Pielke Sr.advocates using ocean heat content as a measure of climate change. Bill DiPucchio showed how using Pielke�s Willis (2008) data and Loehle�s data since 2003 deployment of the Argo buoys, ocean heat content has fallen as well. These all suggest we ignore NOAA’s nonsense global monthly press releases and follow instead the satellite and ocean temperature trends. See PDF. A much more detailed assessment is being submitted to the EPA and will be posted next week after the EPA deadline. Steve Fielding confronts Climate Minister Penny Wong with his question: why has the world not warmed these past seven eight years when we’re pumping out more carbon dioxide than ever? AUSTRALIA’S top scientists have met Family First senator Steve Fielding to try and convince him that climate change is real… It was a case of duelling scientists at the high-level meeting in Canberra today. Senator Fielding took along a team of sceptical scientists. In Climate Change Minister Penny Wong’s corner were Australia’s chief scientist, Penny Sackett, and eminent climate scientist Will Steffen. Prof Steffen emerged from the 90-minute meeting to say that global warming was real. While 1998 was a particularly hot year, the decade since had remained warmer than average. 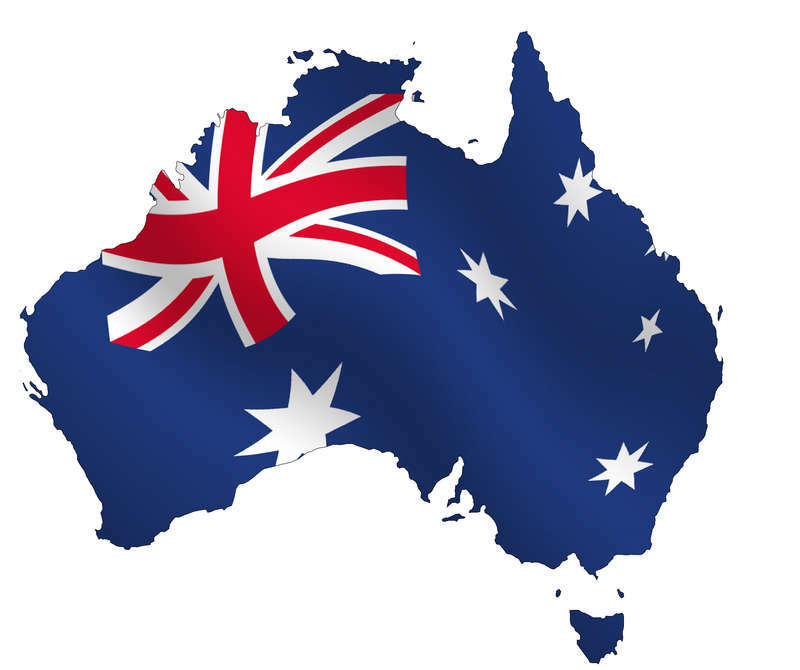 “The climate’s still pretty warm,” the Australian National University academic said…. A spokesman for Senator Fielding said the evidence put forward by his team had given Senator Wong food for thought. The Senator felt his key questions had not been answered in the meeting, but he was going to spend some time thinking it over. It sounds indeed as if Fielding got no answer to his very interesting question. 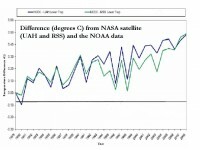 The trends for both UAH and RSS are negative since 2001 with RSS having the larger negative trend. For what it’s worth: My bet is on the longer term trend being positive. Why? The past longer term trend was positive. I’m inclined to believe the longer term trend will be less than 2C/century. Why? The current data says it’s less than 2C/century and the longer term trend is less than 2C/century. Other than models, there is no evidence the climate trend has increased from historic levels to reach a rate of 2C/century. This does not indicate any runaway warming, devastating warming or necessarily even man-made warming. And only time will tell if the world will actually resume warming. Lucia notes that a third of the world’s main four measurements of global temperature confirms cooling since 2001. STEVE FIELDING: Now up until now, we have seen carbon emissions go up and global temperatures, the way the IPCC has been measuring them, not going up.Now if that is the case that is a real problem.Now yesterday, yesterday’s meeting with the chief scientist and Professor Steffen, they outlined that they are using a different temperature measure which is ocean temperature. 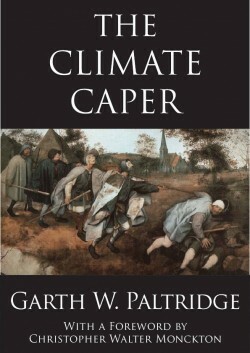 Now that is something we are going to have to look at because that is something that the IPCC wasn’t using to prove that carbon emissions were driving up global temperatures.Previously they were using something from the Hadley Institute or the Hadley Centre and the University of East Anglia. 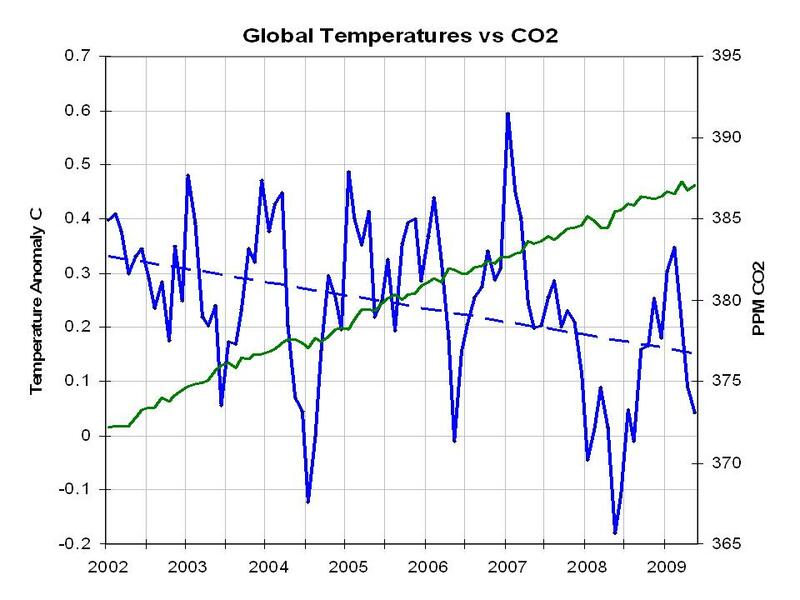 That is the measurement that I have been given and it quite clearly shows that carbon emissions have been going up but global temperatures haven’t.Now yesterday they showed another figure which is ocean temperature. This confirms what Roger Pielke snr had noted. Polls show that global warming has fallen to the bottom of the list of Americans’ worries. Meanwhile 170 Michigan professors signed a letter calling for tough climate legislation. I read the professors’ letter, and I have to say I’m with the people on this one. Their letter would be more convincing if they weren’t so dismissive of the costs involved. They cite unnamed “recent studies” that claim emission cuts could create 150,000 jobs in Michigan. I put more stock in the analysis by the Energy Information Administration of last year’s Lieberman-Warner bill (which is similar to the Waxman-Markey bill now before Congress). The EIA pointed out that cutting carbon dioxide (CO2) emissions requires driving up energy prices, and this will shrink the economy. U.S. manufacturing would decline by 3% to 7%, depending on how lucky the United States is at developing alternative energy sources, and manufacturing employment will fall between 3% and 10% (p. 39). Of course the professors won’t lose their jobs, but they should still be concerned about these things. It is true that if you could convince taxpayers in the other 49 states to subsidize new, money-losing green energy projects in Michigan, then you might gain some jobs. But when every other state is hoping to pull the same trick on you, it’s a zero-sum game. Actually it’s worse: Subsidies for green jobs end up reducing national employment, not increasing it. I also found the letter’s scientific content unconvincing. Regional climate forecasting is very conjectural, and models often contradict each other. I suppose it is possible that all four trout species could disappear as a result of a few degrees of warming over 100 years, but if trout were that delicate, the annual arrival of summer would have wiped them out long ago. As for the litany of potential damages from recent warming trends, I browsed some of the longest weather station histories for Michigan, such as Grand Rapids, Cheboygan and others. There are some trends, but after 1920 they are pretty small, especially considering the known warming bias in long-term climate data from regions undergoing urbanization. The professors claim that these small trends could, among other things, destroy Michigan agriculture. Let’s give farmers a bit more credit. If farmers could not adapt to weather variability, agriculture in Michigan would have disappeared by the 1930s. Even if the long list of problems could be blamed on CO2 emissions, the professors failed to mention that the small cuts envisioned under the proposed regulations would not change anything. The differences would be minuscule at the global scale, which is where they matter. Ross McKitrick is a professor of economics at the University of Guelph, in Ontario, where he focuses on environmental economics. Read post here. See follow-up post in the Detroit Free Press on Check This Data here. See his response to Senator Dingell after testimony in congress here. See that testimony here. All of which makes it noteworthy that several U.S. politicians appeared on their surfboards to address the Heartland 3rd ICCC. These included congressmen James Sensenbrenner (Republican, Wisconsin) and Dana Rohrabacher (Republican, California. 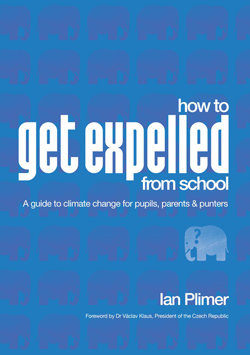 ), both of whom have a history of climate scepticism. Congressman Rohrabacher commented to strong applause that those politicians who are supporting the Waxman-Markey bill are “stampeding the public and elected officials in the biggest power grab in the history of human kind”. Michael Kundu, Board President of Marysville (Washington State, USA) District #25 has written to colleagues to urge them to trash a free science resource that discusses logic, reason and evidence, and the core of science. The Skeptics Handbook has arrived at school board presidents’ desks around the US. 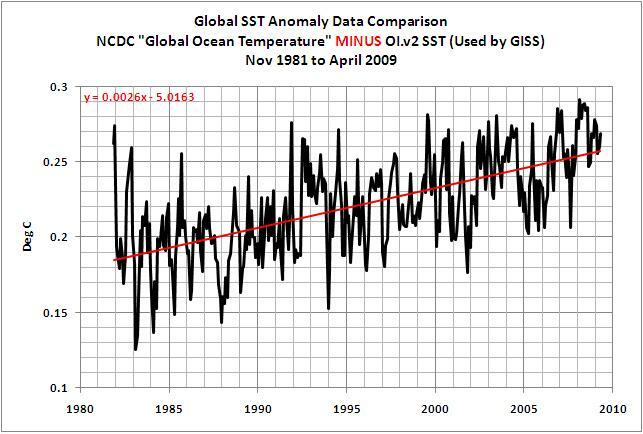 Thus Michael Kundu, whale photographer, pronounces the data from NASA, Hadley, UAH, CSSP, IPPC, as fiction. Michael Kundu has no evidence or logical reason to back his claim. He exhorts everyone to use good sources (then uses Wikipedia), and make intelligent decisions to spot the propaganda, and gives nothing except logical errors. All he can offer is the typical, low base ad hominem attack. So on a science topic, he reasons by ’smear’. Thus proving to be rude, ignorant, and unable to reason. He is at least up front about it. It was honest of him to CC Bob Carter in at the start. Though it appears to be more unfounded arrogance than an attempt to communicate. “As the president of a school district board, you have a particular responsibility to encourage informed discussion on controversial matters of the day, rather than to denigrate in ignorant fashion one aspect of a complex, multi-sided argument of which you happen to disapprove. A cheeky look at the global warming issue – written & sung by SHISHA.